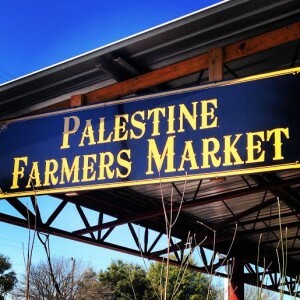 Palestine, Texas- The Palestine Farmers Market will officially begin their daily market schedule beginning May 3 at 8 a.m. The market is open daily 8 a.m. – 5 p.m. Local farmers will set-up throughout the week with some vendors open there daily and others open 3-4 days a week. Saturday’s market will feature squash, cantaloupe, cucumbers, peas, tomatoes, sweet onions, fresh-picked can goods, and various fruits and veggies. The Farmers Market is located at 815 W. Spring St next to the Palestine Visitor Center. 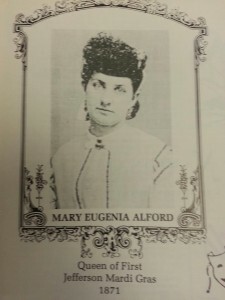 For more information call the Visitor Center at (903) 723-3014. Back in the day, before trucks and before trains, Jefferson, Texas was a trading partner with the city of New Orleans. Steamboats would travel up the Mississippi River, fork off to the Red River, travel across Caddo Lake and then up Big Cypress Bayou to Jefferson. The New Orleans influence on Jefferson is seen in the architecture of the historic district. The wrought iron balconies make you feel as if you are in a smaller version of the “Big Easy”. This time of year that New Orleans influence is seen in Jefferson’s Mardi Gras Celebrations. JEFFERSON- The Jefferson Texas Pulpwood Queen Book Club will host the 2014 book festival January 16 – 19, 2014, at The Cypress Valley Alliance Convention Center, located at 120 E. Austin (across from the Jefferson General Store) in Jefferson, Texas 75657. This year the theme is “Viva Las Vegas, Baby!” celebration of the 14th Anniversary. Featuring over 50 Authors including dinner served to participants by authors on Thursday night. Each day participants and the public are welcome to stop in the vendors area to buy books and other fashionable items. 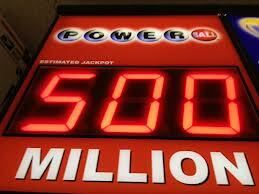 “Somebody’s got to win, so why not me?” Millions of Americans are saying that to themselves as they fork over cash at convenient stores for a chance at the nearly $500 million Powerball jackpot. So what are the odds?